If you’ve found the Mercedes-Benz you’ve been searching for and are ready to start the buying process, Mercedes-Benz of Lafayette is your trusted source for auto financing! No matter what your budget or credit is, our finance staff is here to find the perfect finance options for you. We understand most people can’t purchase a Mercedes-Benz or luxury used vehicle right out of pocket, so we offer a variety of financing plans and options to fit our customers’ needs. Our finance team will be here to assist you every step of the way, so don’t hold back, apply for financing with us now! It doesn’t matter if your credit is in top shape or in need of help, our finance team is here to pair you with the perfect finance plan based on your individual needs. Take this simple assessment to determine where your credit stands, so you can begin looking at auto loan options today. You’re off to a great start! Having excellent credit can help you get the best interest rate for your next vehicle. Your credit isn’t the best, but it’s a favorable standing. Don’t let it stop you from getting the Mercedes-Benz you’ve always wanted! 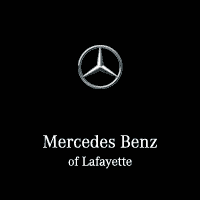 Mercedes-Benz of Lafayette has you covered with loan options. Our relationship with local and national lenders allows us to get you an auto loan with competitive rates! Get started by filling out our Free online application and our dedicated finance team will start working on a plan tailored to your needs. If your poor credit has been turned down in the past, there’s no worries here. We’re here to ensure you’ll get into the vehicle you want with a flexible finance plan. Our multiple finance options include those that can help you rebuild your credit along the way.